The company is using AI techniques including machine learning to enable the various services in its Oracle Cloud Platform to do self-maintenance, such as optimizing workloads and installing patches. The basic pitch to CIOs is straightforward. "It's really reducing costs and increasing productivity -- that's what we’re aiming for, where CIOs can really take care of focusing their resources and investment on strategic initiatives and have the services run by Oracle be very self-running," said Amit Zavery, executive vice president of product development for the Oracle Cloud Platform. "We want to provide autonomous capabilities to eliminate the human labor associated with provisioning, upgrades, backup, recovery, and troubleshooting," Zavery said. This sort of automation is key to how Oracle is trying to differentiate itself from competitors like Amazon and Microsoft that have a longer history in the cloud, not to mention much bigger market share. Last October at its OpenWorld conference, Oracle announced its Autonomous Database Cloud, powered by Oracle Database 18c. 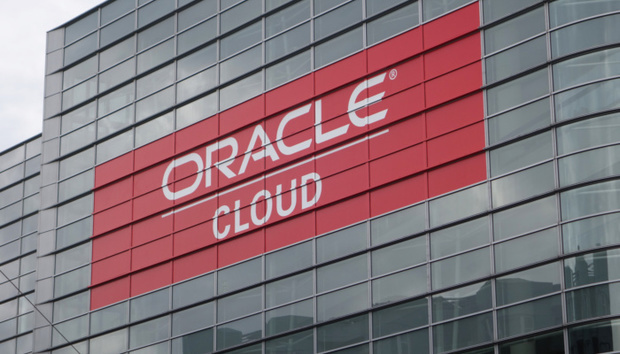 Over the next few months, the self-tuning features of 18c will be brought across Oracle's entire cloud platform, the company announced at its CloudWorld event in New York Monday. To a certain extent, users have for some time expected cloud providers to do some patching and provisioning as part of basic services. But Zavery points out that PaaS services in particular still require a lot of human intervention and manual management. "A lot of patching doesn't happen automatically and a lot of systems don't get upgraded regularly," Zavery said. Meanwhile, machine learning and various automated services are being added to enhance specific functions provided by Oracle's PaaS applications development, application and data integration, analytics and security services. Application development services will include chatbot technology designed to help developers apply chatbots to their applications. Oracle has modeled a variety of different chatbot use cases so developers don't have to start from scratch, and has incorporated machine learning into the software so that the chatbots, through usage, get better at understanding what users intend to do on a website. Developer services also include automated identification and remediation of security issues in code. New application and data integration capabilities have been designed to automate the flow of data, with data prep pipeline and data lake creation. Oracle has a good understanding of what database schemas and structures look like and also has gained a lot of knowledge from custom integrations it has done, Zavery said. "Once a user defines the kinds of things he wants to integrate, we can take over connecting systems, doing the mapping and providing endpoint connectivity," he said. For analytics services, a machine-learning based data preparation engine cleans up data and prepares it in a way that can be used in data lakes and for data discovery. Though Oracle has deep roots in relational databases, the company offers a NoSQL database and also Hadoop and Spark services for unstructured data. New security and management controls use machine learning to, among other things, understand user behavior and intent to prevent and intercept data leaks across structured and unstructured data repositories. Oracle is highly motivated to do everything it can to differentiate itself from cloud leaders like Amazon, Microsoft and Google. On the PaaS side, strong competitors also include Salesforce. Enterprise customers are flocking to the cloud, and less apt to sink money into traditional on-premises databases and applications. In fact, in its last quarterly earnings report, for the period ending Nov. 30, Oracle said revenue for new on-premises software licenses was flat year over year. The good news for the company was that total cloud revenue was up 44 percent and IaaS and PaaS revenue together was up 21 percent. (Oracle doesn't break out PaaS and IaaS sales separately.) In absolute terms, though, Oracle's quarterly on-premises revenue still dwarfed cloud revenue -- $7.8 billion compared to $1.5 billion. At the moment, much of Oracle's appeal in the cloud is for current on-premises customers who want to retain their investment in Oracle software as they move to hybrid systems and cloud technology. But for Oracle, that might not be enough to keep up a healthy growth rate. Oracle forecast cloud revenue for the current quarter would grow 21 percent to 25 percent, disappointing analysts, who had expected growth would be closer to 30 percent. Though Oracle has a huge installed base of relational database users, it is going to have to start winning over more new customers for cloud offerings. Look for Oracle to continue to play up AI and automation as it strives to win over new users to its cloud services. Meanwhile, Oracle also said that it will be opening 12 new data center regions. Locations in Asia and the Middle East include China, India, Japan, Saudi Arabia, Singapore, and South Korea. Locations in Europe include data centers in The Netherlands and Switzerland. In North America, new locations include two in Canada and two new U.S. locations to support U.S. Department of Defense workloads.